If you had an over-abundance of grapefruit, what would you do with them? A. Make freezer jam, enough for your family for the next year? B. Give them all away? 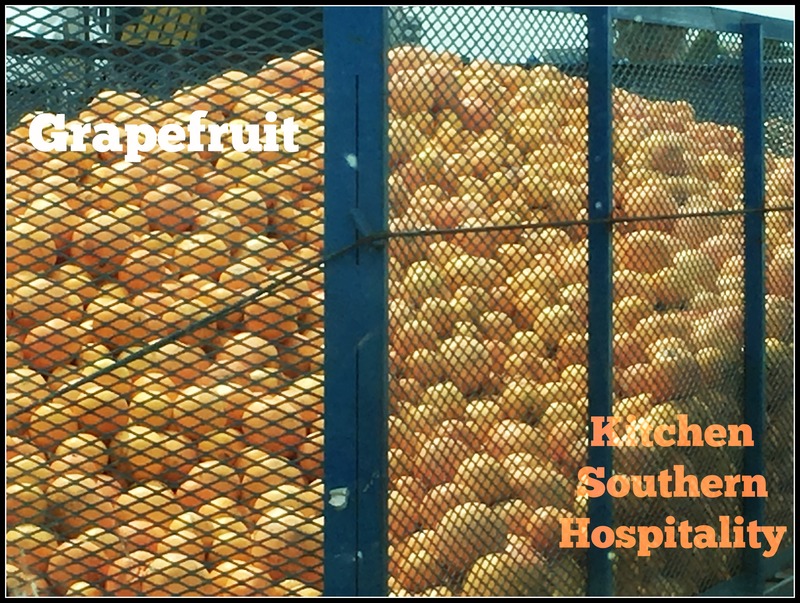 I rode with my trucker husband to a truck stop the other day where this truck loaded with fresh grapefruits was in line to weigh on the CAT scales. That’s not scales for your pet cat. ðŸ™‚ A CAT scale is what a professional truck driver weighs his truckload of inventory on. The scales are supposed to be accurate and give a certified weight. I have no idea how much that load of grapefruits weighed, but that’s a lot of grapefruits. I wondered what I would do if I had that many grapefruits. I’m sure I would make different recipes and share with my friends as well as freeze grapefruit jam. No doubt, I would give much of it away. Now that I think of it, it seems like I’ve only had grapefruit fresh. I slice it in half and eat it. My mother used to have grapefruit spoons with the sharp edges to cut the sections. Our family ate the fruit often. My friend in Houston said she found a grapefruit pie recipe that she loved. She made it and was the only person in her family that liked it. So what about you? Have you made any delicious grapefruit recipes? WOW! I really hadn’t thought of making different recipes with grapefruit before I saw that truck full of grapefruits. Hmmm. They are healthy and nutritious to eat. It’s food for thought, for sure. All of those recipes look good to me. I’m not planning on doing any baking this week…or the next. But maybe my daughter will feel like doing something really different over the July 4th holiday – like baking grapefruit scones! The grapefruit meringue pie reminds me of one Christmas when we forgot to buy lemons, so my mom made a tangerine meringue pie. It was good. Different, but good. My friend loves it. I’d like to try it.